The procurement card, or P-card, is a form of company credit card that is issued to employees who can then acquire goods and services without having to process the transaction through the traditional purchasing procedure, such as using purchase requisitions or purchase orders. 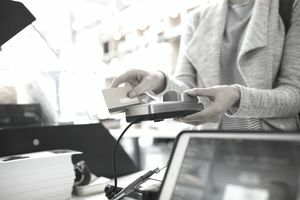 There are a number of different procurement card programs; some involve only the use of company-approved vendors, while others allow any vendor to be used. The purchases made by an employee using a procurement card are generally small and low value. A lot of negative reactions about procurement card programs are specifically targeted toward the abuse of the card by employees. However, the benefits of procurement programs are far greater than the risks and costs involved in operating the program. The United States Government found that purchases under $2,500 only comprised 2 percent of overall government spending, but did account for 85 percent all purchases. As the administrative costs of these small purchases often exceeded the actual dollar spend, the use of procurement cards increased in many government departments. One government agency, the Department of Commerce, estimated that the use of procurement cards saved them over $22 million per year on administrative costs and the reduction in purchasing processing time. The use of the cards has allowed purchasing departments to concentrate their efforts into the 15 percent of total procurement spend that accounts for 98 percent of the total expenditure. The abuse of procurement cards is headline news, but these abuses, especially in Government departments, often show a high dollar value that is, however, less than half of one percent of the total spend. Still, abuse does occur, but it can be controlled by implementing proper internal controls to reduce waste and abuse. Strong management direction is crucial for a successful procurement card program. Management should clearly define what the allowed uses for the card are and define and impose penalties for payment delinquency, fraud, and abuse. Of course, the back office procedures and resources must be in place to implement the controls. If there are not enough resources to monitor and deal with procurement card abuses, then the abuses will continue and increase, as the lack of commitment in the program is seen by its users. Another negative seen in procurement card programs is that companies think they need to give cards to all of their employees that make purchases. This is not the case; being issued a procurement card is being given trust. A company must be able to trust the user of the card as they are in fact spending the company’s money. There should be an approval process in place where employees have to be selected, reviewed, and approved. If an employee has bad credit, should they be given a company procurement card? Like any credit card, there should be a credit limit for the user. Credit card companies give cardholders a limit based on their ability to pay. For procurement card holders, companies should give the cardholders a spending limit that is appropriate to their position and their likely spending. For example, a person employed as an IT analyst may only be required to purchase printer ink and small computer peripherals, which may only total a couple of hundred dollars a year. The spending limit for this employee should reflect this, and he should not be given a blanket spending limit of $2,500 that may be given to all IT staff. Spending limits should be reviewed on a periodic basis so that an appropriate level is given to employees based on their actual spend.